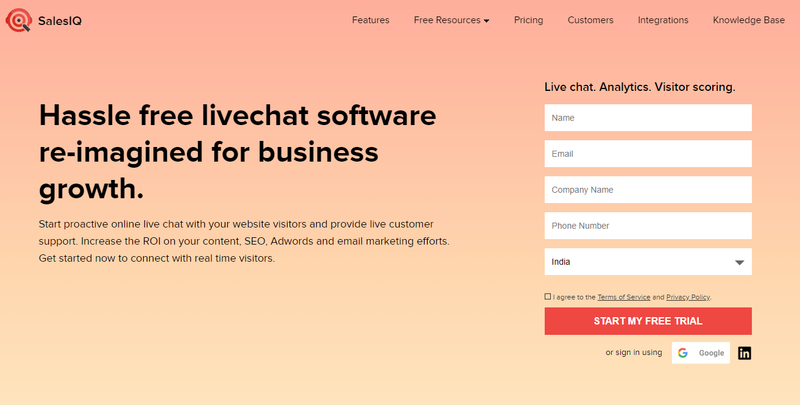 Zoho SalesIQ is an advanced tool for tracking website visitors and providing live chat support to customers. This software can integrate with a range of CMS, (including WordPress, Shopify) email marketing, analytics, and other tools. 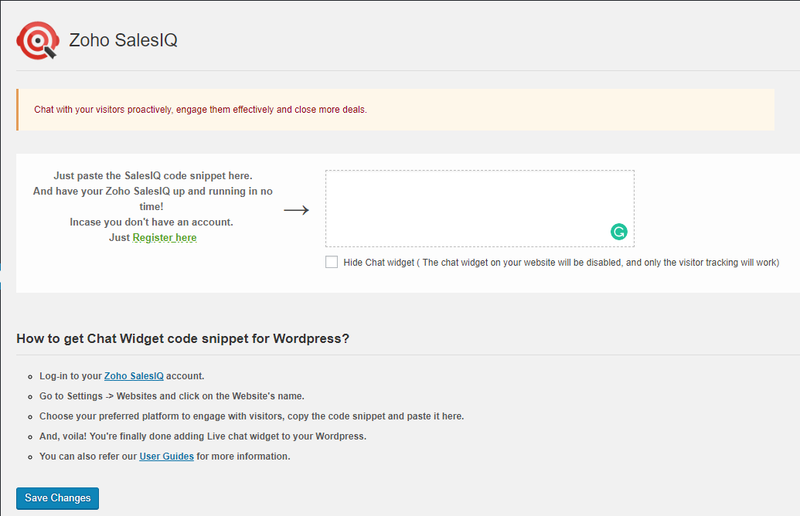 You can integrate Zoho SalesIQ to any WordPress site and start a proactive chat with visitors on your site. Engage and support instantly from any WordPress site with Zoho SalesIQ. Now the question is How you can integrate SalesIQ with WordPress. Follow the below steps to add SalesIQ to WordPress. Once installed, click “Activate Plugin” to activate. After activation, you will get a Zoho SalesIQ tab on the left of your WordPress Dashboard, click on this tab and you will see an area to embed the code. After the registration, you will be redirected to the SalesIQ dashboard where it will give you a special code to connect your website with SalesIQ. Just navigate Settings -> Websites and Copy given code. Paste your SalesIQ code in the given box and Save Changes. 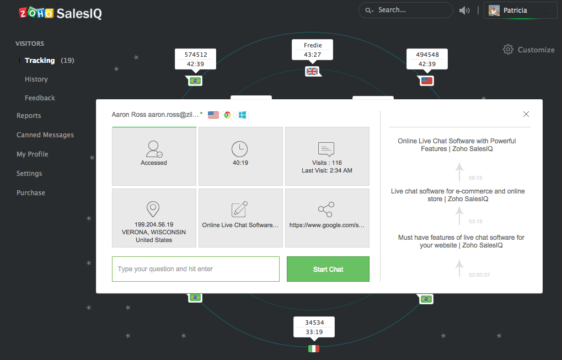 Once you’re done, you will start seeing a chat bubble on your website. 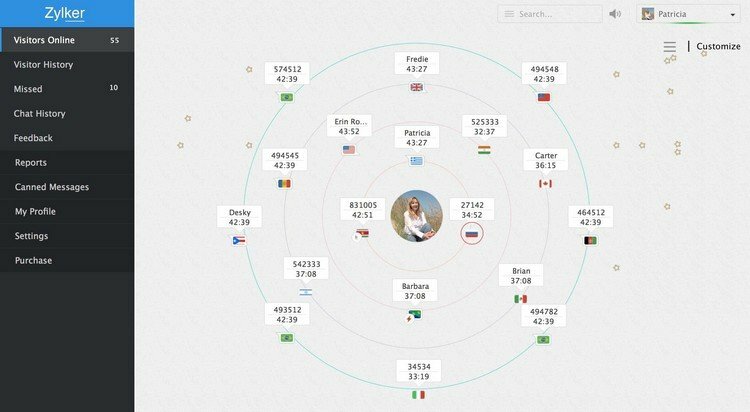 Your website visitors will now be able to contact you through this chat system. 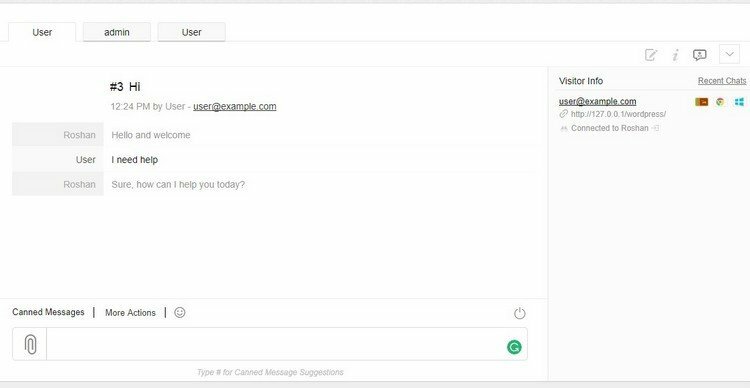 So Whenever a user initiates a chat and sends you a message through your website, you will receive a notification in your SalesIQ dashboard. Or through the mobile apps, if you’re usingSalesIQ Android or iOS app. And the users will able to rate and leave feedback for your support, once a user ends a chat. With SalesIQ, you’ll be able to go back to your previous chat sessions and learn what kind of questions users are more curious about. You can go to the Chat History tab on the SalesIQ dashboard to see all your previous chat sessions. On Visitors Online tab will show you a graph of all the visitors that are online on your website right now. And even you can click on a user and initiate a chat by yourself to offer support and connect with the users. The free version of SalesIQ is more than enough for a small business or a personal website. But, if you’re running an eCommerce store or a business that requires more communication with the customers, like a web hosting site, you should consider subscribing to a Pro plan. This is the simplest and only way to setup SalesIQ to WordPress. If you still have doubt, comment below. We’ll help you out.